Interested to Rent A Water Filter System ? Why Rent a Water Filter in Singapore is Beneficial? Everyone knows how beneficial a water filter is when it comes to providing everyone with easy access to pure and healthy water. The good news is that you don?t have to shell out a huge sum of money to purchase these filtration systems. Note that you can find several affordable ones in the market. You can also opt for a more flexible and affordable option ? and that is taking advantage of water filter rental Singapore. Here are reasons why renting water filters is beneficial. By deciding to rent, instead of buying, you will enjoy a huge amount of flexibility in terms of treating your water. Our company focuses more on providing water softeners, water systems and filters that can fit any requirement and space. The good news is that you can rent them. You can choose to set up the rentals on a monthly basis, giving you multiple options especially if you?re someone who does not want to commit yet. Opting to rent is also beneficial because this is more affordable. The reason is that you no longer have to pay for maintenance and repair costs. This will be covered by your already low monthly payment. Most providers of water filter rental in Singapore can also deliver and install water solutions quickly. Expect it to be fully operational within just a couple of 3 days at most. 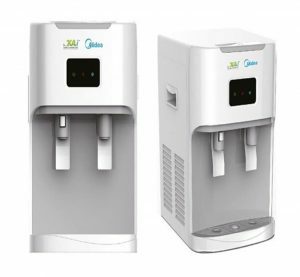 Another thing that you will definitely love about water filter rental Singapore is that it makes it easier for you to upgrade into a newer and more advanced water softening and treatment solution once this becomes available. This means that you?ll have access to an advanced water filtration system with excellent features. Aside from affordability, flexibility and ease, our water filter rental Singapore service can also offer you peace of mind. You have a hundred percent assurance that you?ll work with licensed professionals whose products are highly durable and deliver excellent performance. Rent A Water Filter System Now!